The ring is sterling silver and set with a glass cabochon. The cabochon itself is approximately .5 inches wide and .7 inches tall. 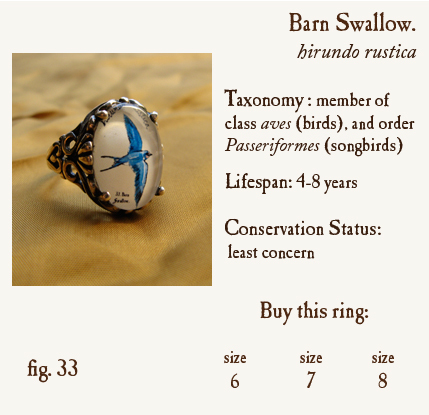 The image is protected on the back of the cabochon with a resin-coated layer of silver leaf.